Introduction: Central Europe, February 25th 1931. Onboard the famous trans-European Budapest Express, you are with Karine Peaufiner, a famous French detective from Paris. You are traveling to Budapest to meet with other detectives showcasing the latest developments in crime scene forensics. It is nighttime and you are passing slowly through the heart of Europe during a heavy snowstorm. You are reviewing case notes in your cabin with Karine and your colleagues. Suddenly there is a knock at the door, it is the train manager. He looks worried and asks you to come quickly to the First Class dining coach. When you arrive, you see a man slumped over a restaurant table. He was Sir Clarence Hayden and he has been murdered! The manager informs you that in one hour the train will stop at the next station, if the killer hasn’t been apprehended, they will be free to escape into the night and get away with this horrible crime! Your reputation as brilliant detectives precedes you, he asks you to solve the crime so the murderer can be caught and brought to justice. You’re able to narrow down 5 suspects who were seen in the dining car around the time Sir Clarence was murdered. Moving through the cabins and gathering evidence, the killer knows you are hot on their trail and has decided you are their next target. With you out of the picture they would be free to escape when the train stops. Solve the riddles and puzzles, gather the evidence and solve the murder before it’s too late! Hint System: Penalties after 3rd hint Via TV Monitor. This was actually the first escape room that my girlfriend and I participated in together. 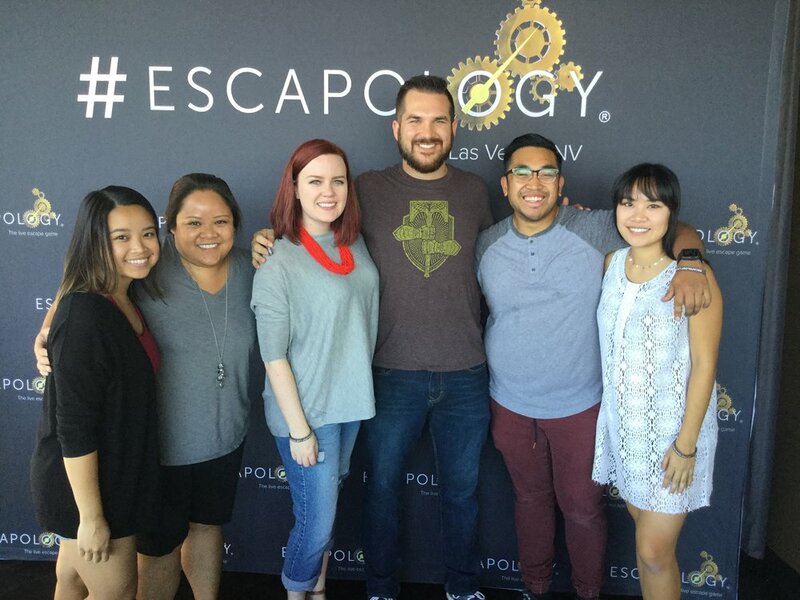 The escape room lobby was beautifully designed and didn't feel like an office space. This escape room was uniquely set up like a train and it felt like I was on a train. It was three rooms connected like a train. The puzzles were ranging in difficulty. I was lucky to be with experienced escape artists that knew what they were doing. This room was multi-linear and the biggest part was to remember certain clues since the starting the room as it would help with the final clue. This escape room is not suggested for beginners and is a good challenge for escape artists that are looking to be challenged.